Another sleeper of the vintage from Perse, this wine shows lots of licorice, underbrush, blackcurrants and black cherries, cedary wood spice, a round, expansive, full-bodied mouthfeel, beautiful texture and again, stunning purity, all while remaining relatively youthful. This wine probably won’t hit its prime for at least another 4-6 years and is certainly capable of lasting a quarter of a century afterward. Tasted at Bordeaux Index's annual 10-Year On tasting in London. 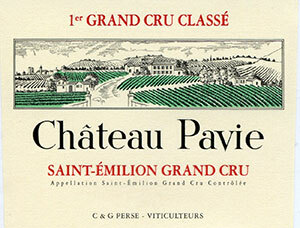 The 2006 Château Pavie has a rich, generous, almost opaque bouquet with raspberry coulis, crushed strawberry, vanilla and melted tar, very well-defined and focused - perhaps more so than the 2006 Angelus? The palate is well balanced with fine tannin, a keen line of acidity, very harmonious in the mouth with black cherries, wild strawberry, citrus fruit, a touch of tar and tobacco developing towards the finish. It leans towards Cheval Blanc in style, but whatever its semblances, it remains a very well-crafted Saint Emilion with a long future ahead. Tasted January 2016.